PD-L1 expression is a rational biomarker to predict response to PD-1/PD-L1 ICI therapy, and has been studied extensively in clinical trials. 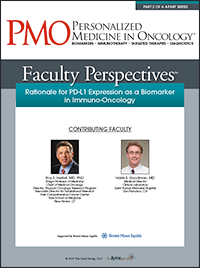 A recurring theme emerging from available clinical data is that high levels of tumor cell membrane PD-L1 expression correlate with better outcomes with PD-1/PD-L1 blockade. Testing in Patients with Cancer Clearly, immunotherapy has come of age in multiple tumor types, as described in the main article in this publication. The question now is how to develop more personalized immunotherapy and use biomarkers to identify patients most likely to benefit from this therapy.